To know more about Dependency Injection please read my previous post. Dependency injection can be implement by three possible ways. One of these Interface Injection. As we know in C# an interface object can have reference of any of the class, implementing the same interface. This is the base behind the Interface Dependency Injection. Interface injection allows to pass the dependency into dependent object in the form of interface, implemented by dependent class. Or in easy words, Dependency declared inside the dependent class in the form of Interface. So any class that implements dependency interface, can be substituted into dependent class. IDependent interface :- This interface defines the methods that inject one or more dependency into dependent class. Dependent Class :- The class, that implement the IDependent interface. IDependency interface :- This interface includes all dependency members that can be called from the Dependent class. By mean of IDependency interface, we can easily inject any of the class that implements IDependency interface. Dependency Class :- Any class that implements IDependency interface use to substitute into dependent class using Interface injection. // Project Data Layer to interact with database. Here Project BL class depends on IProjectDL interface to perform any operations on data layer. Since IProjectDL object can reference to any class implementing IProjectDL like ProjectDL. By using interface dependency injection we can insert the any interface dependency. // Another implementation of Project data layer. // Lets assume its to interact with other database like oracle. So ProjectBL just depend on IProjectDL implementation. 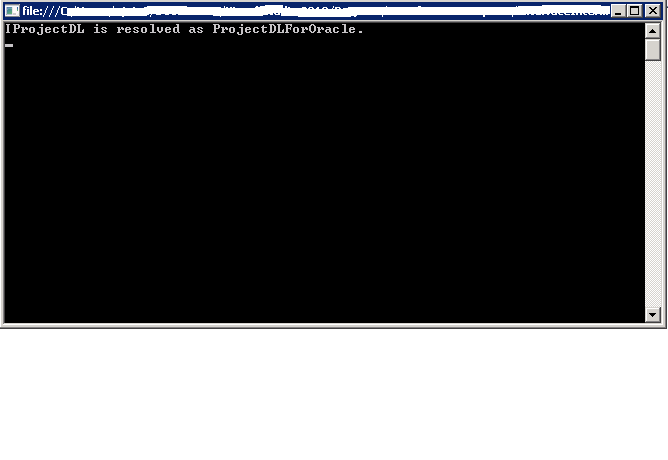 We can pass either ProjectDL or ProjectDLForOracle without changing in ProjectBL class. Many dependency injection container available to automate and configurable this. Enterprise library also provides the policy injection block. By means of this block we can map interface to its implementing class. 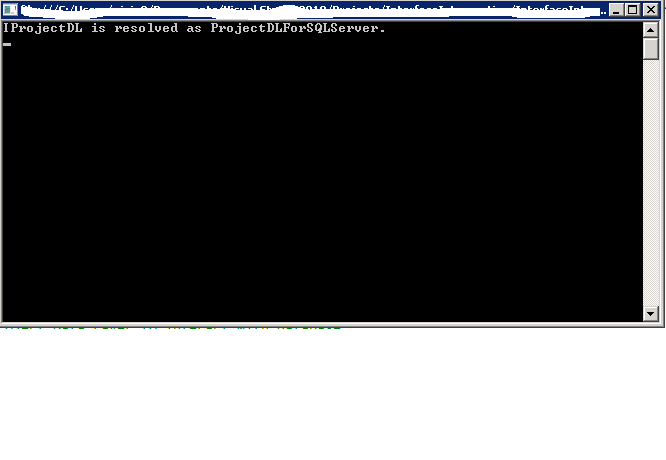 Policy injection block will read this configuration and inject the corresponding class instance into dependent class. In this way BL layer classes loosely coupled with DL. We can easily change the one data layer implementation with other one. So at the end i want to conclude about the whole content. If dependency in the form of interface its called “Interface Dependency”. Injecting the interface dependency reference by either mean is called “Interface Dependency Injection”. I hope this article will helpful for novice to understand the concept.